SixSigma has provided resources for crucial requirements and they have done it within the timeframe given to them. Service from the SixSigma team is excellent. SixSigma is providing us a great support. Their dedication and hard work is amazing ! eG wishes them all the very best. Keep Rocking. 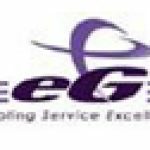 Assistant Manager eG Innovations Private Limited.